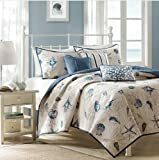 Nautica Surfside Beach Quilt is a great way to liven up your bedroom. 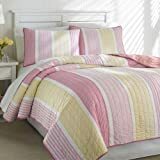 This eye catching stripe pattern features bright sunny stripes in shades of yellow, pink, hot pink and white. 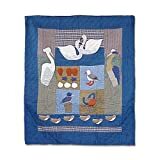 This quilt is handcrafted to give you all the softness of 100% cotton. Its style and comfort will be a welcome addition to your bedroom. 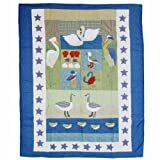 Your daughter will delighted with this very femine and fun quilt. A simple, yet classic stripe design makes it a great choice for any age. Full/Queen Size 86″ x 86″.